Thanks, Aaron. I understand how the wiring works, I just don't get how this kit implements. I will mess with it again once we get another bearably warm day. Just an update. One of my sequencer modules was bad. Web Electric sent me a new one free of charge. I installed it yesterday and BLAMO. I now have sequential signals and a burst brake light. Sweetness. Highly recommend this guy. Customer service was primo and installation was straight forward. My left tail light is messed up. Sometimes the blinker arrow will just stay green and it wont click, sequence, move, whatever. The brakes and reverse light were messed up too on the drivers side. It's intermittent too. Sometimes I start the car and its fine. sometimes it just sticks and wont blink. Hey Charlie, I've got sequentials... an old module bought from someone on this site by Thundercat Electronixx. I had the same issue you're having. I took it into a shop that has done audio work on my car and the owner was able to mess with the module. Apparently, a bunch of relays/resistors inside of it were blown. I either had the option of getting him to remove some of the toasted relays and replace them (because that's more or less what the module is - a bunch of relays and/or resistors) or just get a new unit. I opted to have the relays replaced. To top it off, he messed with the timing of the module because he couldn't get one of the lights on one side to flash on in proper sequence (actually the middle bulb of the three bulbs on the passenger side would flash on before the other two), so now the tail lights burst on really fast instead of slowly sequencing. So your problem likely lies in the glorious circuit board. My problem was really fickle, and right when I decided to try to fix the stuck lights, they would start working again fine. Oh, and take a look at your bulbs too. Im lead to believe its the sequencer because my brake lights are affected as well. i emailed the guy who made it to see what he says. lifetime guarantee too. Charlie, how are your sequential signal problems coming along? I'm in the market for a new module & interested in the one you're using. The first 2 he sent me, 1 was bad, returned it, got a new one, and all was good. Then later I had sequencing issues. I messed with the wiring, bent the modules up a little, tested, and it was all good. The guy running the show is really helpful and like I said, lifetime guarantee. I would recommend them. Had mine installed back in 2012 (web electric) and still no issues. Love the sequential's...should have come from the factory this way. I'm just a worrier. I'm thinkin like 10 years down the line. I intend on keepin this car so I suppose I should get good at the electrical end of things. I'm just not that experienced in it as of yet but...before years up I'll make this mod happen! Decided! Have to admit it was not a mod I would have undertaken on my own. Have a friend that understands wiring who did the work. I only looked on, kept the beer cold, and handed him tools when requested. Took a few hours but worth the effort. Earlier I installed the WebElectric sequential's on my 2011 Camaro. That was just a plug & ply installation and took only 15-20 minutes. 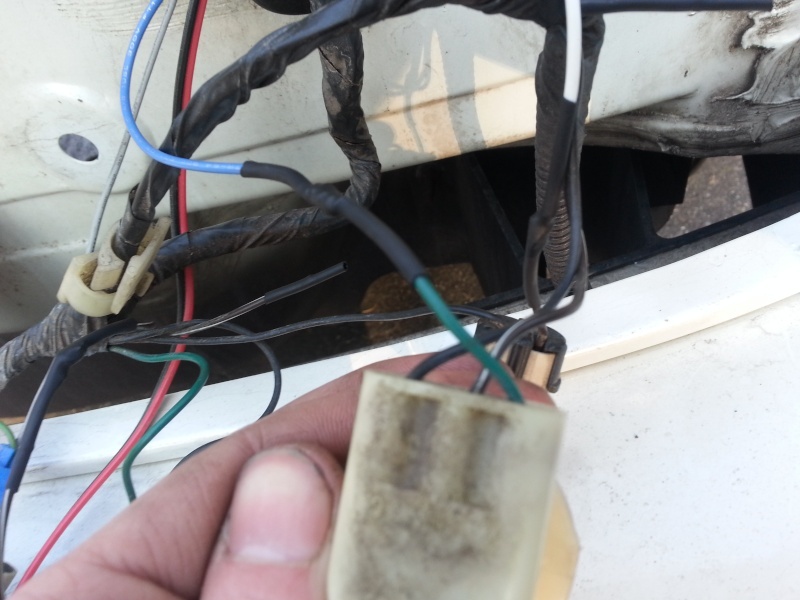 The instructions say that there are brown wires on the taillight harness on both sides when in reality it is brown with a white stripe on the right side, and another color on the left side (I don't remember what it is at the moment, but I have a spare harness so I'll get back to you on that). There are only 3 wires on the outer sockets instead of the claimed 4 in the instructions, but the colors still match up just fine. The only other complaint I have is that the brown wire on the unit looks black. EDIT: The color on the left side is purple. wanna post another vid of those lights to force me into buying em? I have a problem with mine where the sequencing lags, hesitates, and will only click 1 or 2 and not all 3. This only happens when using the turn the signals only. The hazard lights sequence perfectly and the brake light blasts out perfectly too. Any ideas? I checked wiring today and everything looks good. Maybe the flasher module under the dash is taking a crap? Here's the video you all wanted. Sorry for the delay. 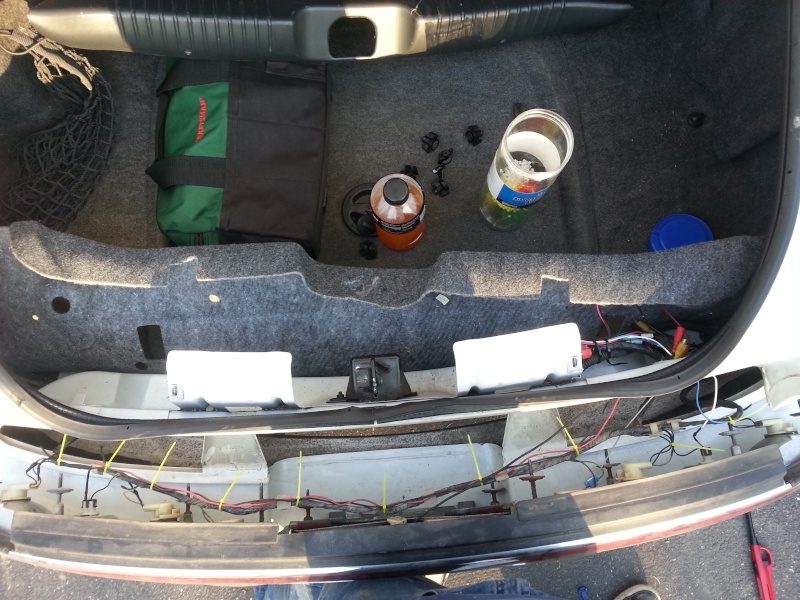 Some pictures of the wiring for your convenience as well. Outer light right side. Connect the blue wire on the module to this. Middle light right side. Connect the white wire on the module to this. Just mirror the wiring on the left side, keeping in mind that the wire colors will be different. 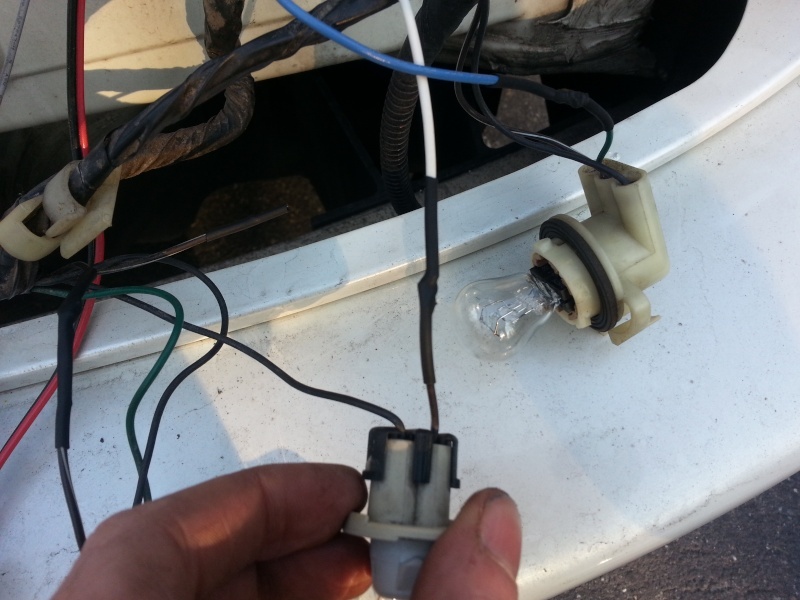 I just used the extra wiring in the kit as an extension to the bulbs on the left side. Where I placed my zip ties. Hey Charlie, did you ever figure this issue out? I'm thinking about getting a new sequencer module but just wanna check. If you bought them from the same guy I did they have a lifetime warranty. Just shoot him an email. Ive been thinking of looking for different flasher to try. I remember reading somewhere that people preferred one kind over another. I am going to pick this up tomorrow and see if this solves the issue. Here are some vids of my turn signal issues. Does it look like its the sequencer or the flash module? Charlie I would say that's probably the sequencer module. I had nearly the exact same problem with my ancient one a year or two ago, though didn't have as many hiccups and didn't seem as drunk as yours does. What flasher module do you have? Is it heavy duty? If not, that could be the cause too... should be a pretty straightforward process of elimination. Btw, I have that exact Advance Tridon flasher and it's worked like a charm since I got it. When I had sequencer probs, that flasher was definitely *not* the reason.